Each year, Botswana’s zebra journey between Okavango Delta and Makgadikgadi Pans in search of fresh grazing in what is known as the second largest zebra migration in the world. 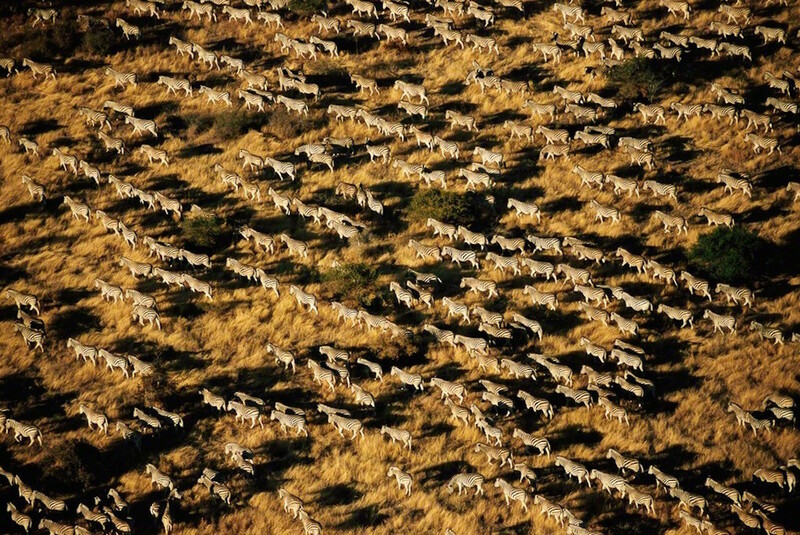 Scattered herds of Botswana’s national animal can be seen throughout the Makgadikgadi palm belt and near the salt pans where the mineral content of grasses is highest. The nomadic habits of the Burchell’s Zebra in Botswana weren’t properly understood until tracking devices were used in a study done by the conservation group Elephants Without Borders in 2012. The scientists were amazed to discover that some zebras were trekking from as far away as the floodplains of Chobe near the Namibia–Botswana border, arriving in the Makgadikgadi area via Savute. This is a round trip of 500km, the longest of all recorded large mammal migrations in Africa. The most popular and well known location for viewing this beautiful spectacle is from Meno a Kwena camp situated along the Boteti River on the western boundary of the Makgadikgadi Pans National Park.